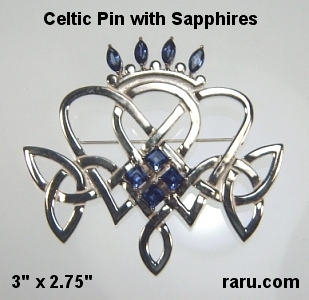 All our Celtic pins and Kilt pins are available in sterling silver, sterling with 18kt vermeil (gold electroplate or G/P), 14kt yellow, 14kt white, 14kt rose, 14kt green, 18kt yellow and platinum. 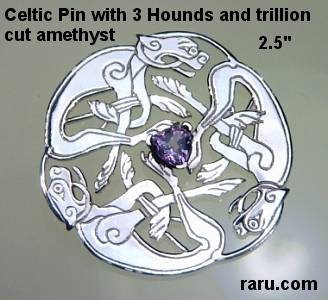 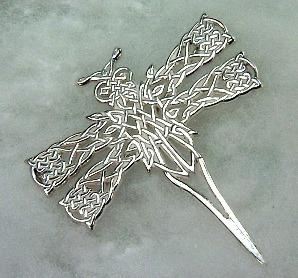 Please remember that we can create most any custom Celtic piece! 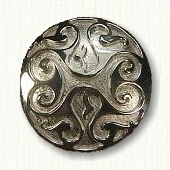 Size : 3" x 2 3/4"
Call for pricing with stone of you choice. 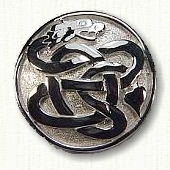 Piece is domed and pierced. 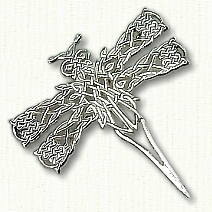 Size: 3 " x 1 1/2"
A perfect sample of deSignet's custom work. 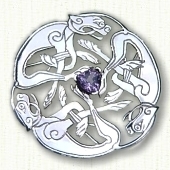 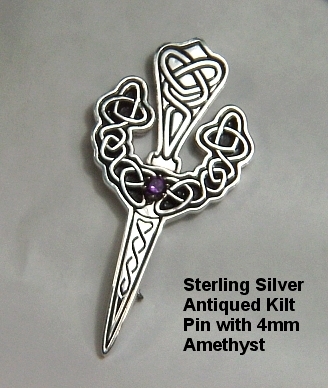 Large sterling silver antiqued Kilt pin with 4mm round amethyst. 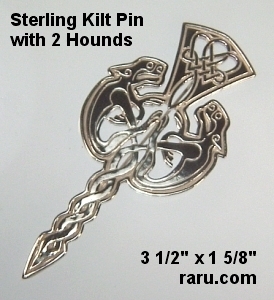 Custom graphic/mold fee applies to all custom Kilt pins. 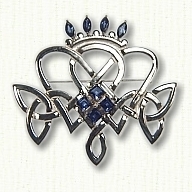 Please call 1-888-727-8266 for more information. 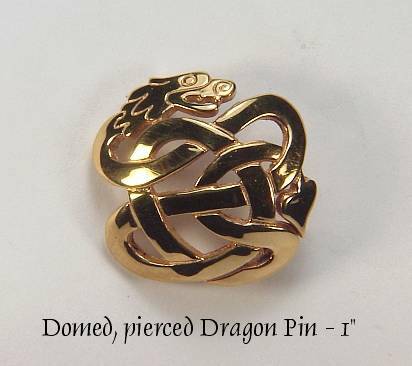 Size : 2 1/2" x 2 1/4"
Sorry - Not for Sale. 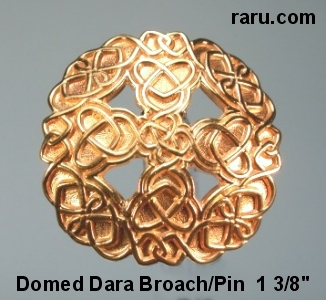 This is a perfect example of what we can create just for you. 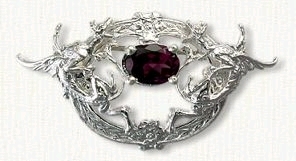 Let your imagination run wild or have our deSigner make suggestions. 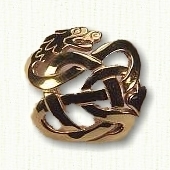 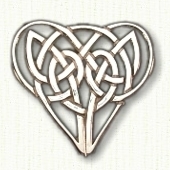 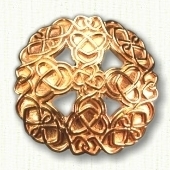 We will gladly create a custom Celtic Knot pin just for you.